You will not find too many actors that have remained as consistent in what they do year in and year out as Harvey Keitel who has since starting his career as an actor has appeared in over 140 movies and TV shows. With an Oscar and Golden Globe Award nominations, the actor has had a great professional life, but outside of that, there are many who still ask about the personal life of the Mean Streets actor. Harvey Keitel was born to Miriam (née Klein) and Harry Keitel on May 13, 1939, in Brooklyn, New York City, New York. He was brought up alongside two siblings, Renee, and Jerry in Brighton Beach in Brooklyn. Both Jewish emigrants, his father is from Poland while his mother was from Romania. Unlike many other actors that have gone as far as he has gone, Keitel did not start acting very early. In fact, he joined the United States Marine Corps when he was 16 and was sent to Lebanon before he got back to the States and worked for some years as a court reporter after which he finally got to start acting. For his education, the Pulp Fiction actor went to Abraham Lincoln High School and to sharpen his skills as an actor, he studied at HB Studio as well as under Stella Adler and Lee Strasberg. As regards his acting career, Harvey Keitel began when he was two years shy of 30 in 1967. He started with making appearances in a number of Off-Broadway productions before making his debut with an uncredited role in Reflections in a Golden Eye in 1967. In the same year, he got another role to play J.R in the drama film, Who’s That Knocking at My Door. His next film came in 1970, Brewster McCloud, followed by Mean Streets in 1973. By the time the 1970s was done, he had had more than 10 movies to his name including Taxi Driver which was highly acclaimed, getting him a nomination for the best supporting actor at the National Society of Film Critics Award and New York Film Critics Circle Award. The 1980s was a very busy period for him, appearing in more than 20 films including the 1985 Spanish film, El caballero del dragon (The Knight of the Dragon) and The Last Temptation of Christ in 1988 which earned him a Golden Raspberry Award for Worst Supporting Actor nomination. He played the role of Mickey Cohen in the 1991 movie, Bugsy, a performance that got Harvey Keitel his Academy and Golden Globes nominations. The 1990s, 2000s, and even 2010s have been very productive for the actor. Thanks to this, he has more than 140 movies and TV productions. His most recent works are The Last Man (2018), See You Soon and The Irishman both in 2019. With more than five decades as an actor, more than 140 movies to his name and a good number of works as a producer as well as his involvement in commercials thanks to his very strong voice, Harvey Keitel has a net worth that is estimated at $45 million. He made a huge part of his fortune from his career as an actor. In 1983, a year after actress Lorraine Bracco’s marriage to Daniel Guerard ended, Keitel met the actress in Paris and the two began a relationship that would be on for the next 12 years. In the years that the relationship lasted, the two had a daughter together, Stella Keitel who was born in 1985. When the relationship ended in the 1990s, there was a very long legal battle between the two on who was to have custody of their daughter. The next woman that Harvey had made an attempt to start a family with was Lisa Karmazin whom he dated for a short while. The two had a child together, Hudson, born in 2001. He would again find himself in courts fighting his ex-lover but this time around it was for childcare support which Karmazin who was a painter said $5,000 a month was not enough. 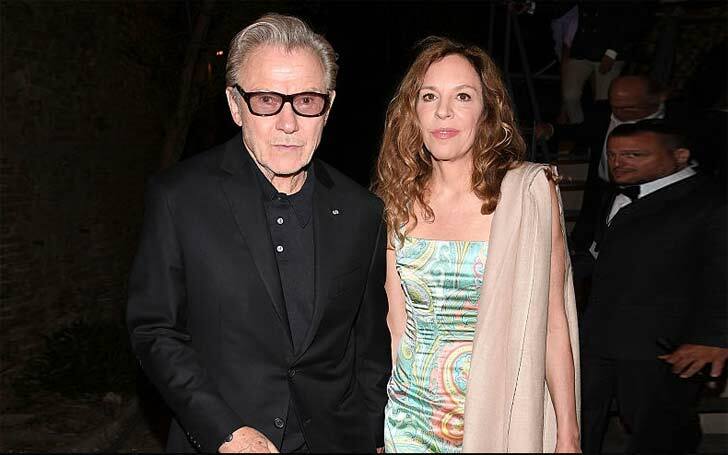 While attending the Haifa International Film Festival in 2001, Harvey Keitel secretly got married to Canadian actress, Daphna Kastner before having an official ceremony in Manhattan later in that same year. Their family has been increased with a child, Roman, who was born in 2004. Height – How Tall is Harvey Keitel? While he is not the shortest man you will find on a scene, he will not be the tallest either. Harvey Keitel has an average height of 5 feet 71/2 inches (173.7 cm) even though he sometimes appears a little shorter.